New notification type for "special events & topics"
If you haven't really had a sense of when to use Duo, you can always let the app itself tell you. 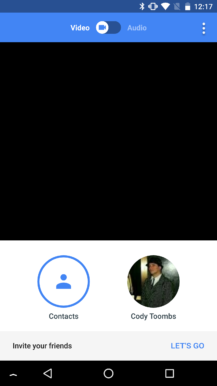 At least that's what a new toggle on the settings page would seem to suggest. 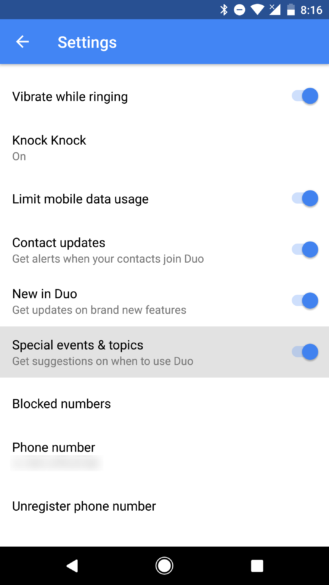 It bears the name "special events & topics," but the description says these are "suggestions on when to use Duo." I'm not sure that title and description really go together, nor do they make it clear what we'll get exactly. 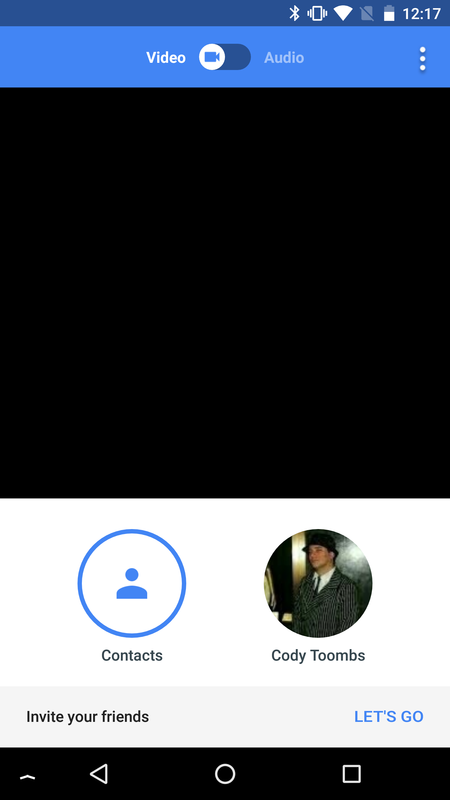 Nevertheless, it's easily disabled if these notifications become a bother. 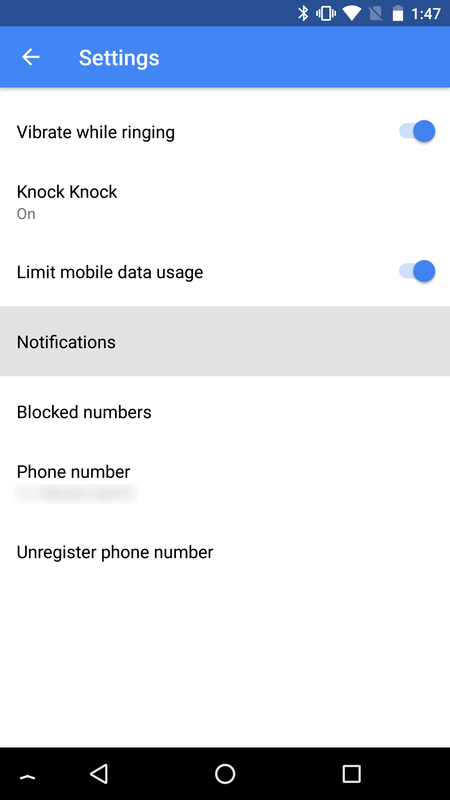 Duo doesn't produce a lot of notifications, but Android O users can now take full control over the behavior of the ones that do occur. 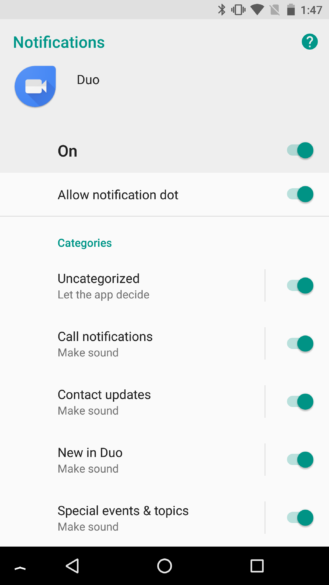 A set of custom notification channels have been added for Duo, making it easy to configure sounds, vibrations, notification lights, and more. 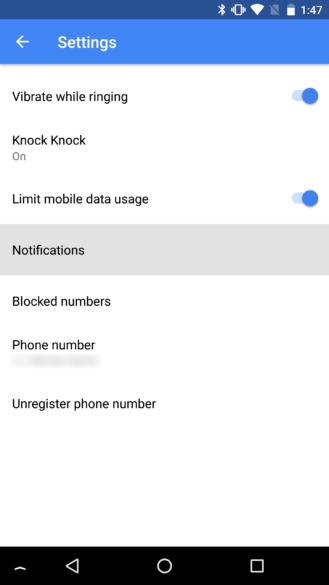 Best of all, Duo follows the example set by a few apps like Android Messages and Gmail by hiding their own options for notifications and providing a link to the notification channels screen. 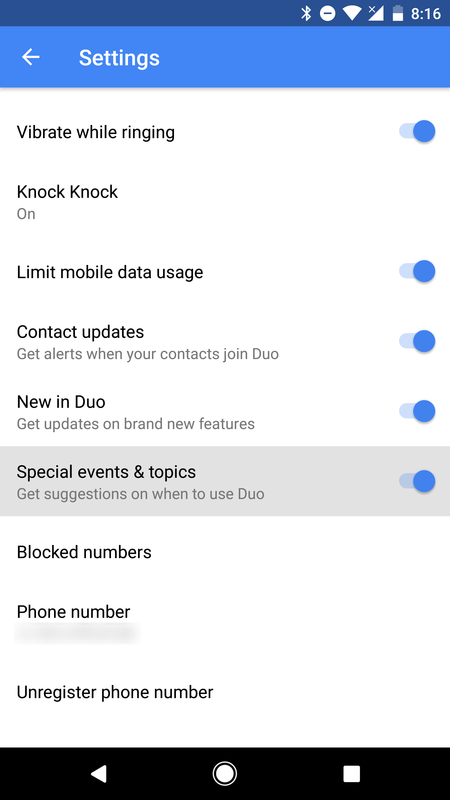 The list mirrors the three toggles within Duo's settings screen, including: contact updates, new in Duo, and the newly added special events & topics section mentioned above. There is also an additional category for call notifications, but don't confuse this with the popup that appears when you receive a call or the sounds that are made, those things are still configurable in Duo's settings screen. There haven't been a lot of changes to Duo's interface since it launched last year, but you might spot a couple things in this update that don't look quite like they did before. 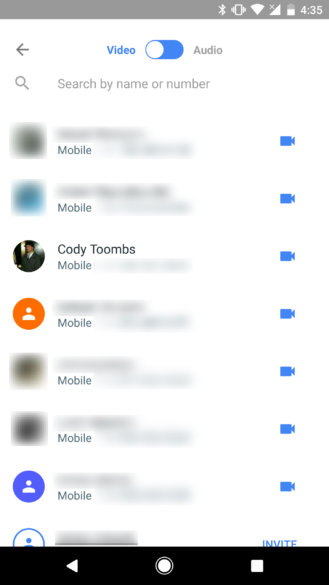 However, it's important to note that these tweaks to the interface are part of v16, but they aren't necessarily going to show up for everybody after updating. Google seems to be doing a staged rollout to users, so you may still see the older interface elements after installation. Left: Previous version. Center: New version. Right: New version with old UI. For starters, the Audio/Video toggle is no longer locked to the top of the screen. It is now attached to the draggable contacts panel where it makes a little more sense and should be easier to reach. 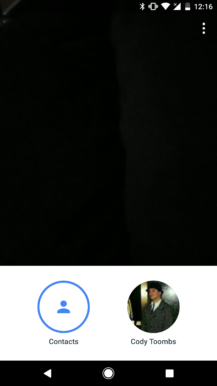 Also, if you're paying attention, the icons have also been removed from the center of the toggle. If you're still stuck with the old interface after updating, the toggle will still be at the top of the screen, but it's permanently visible instead of auto-hiding itself. 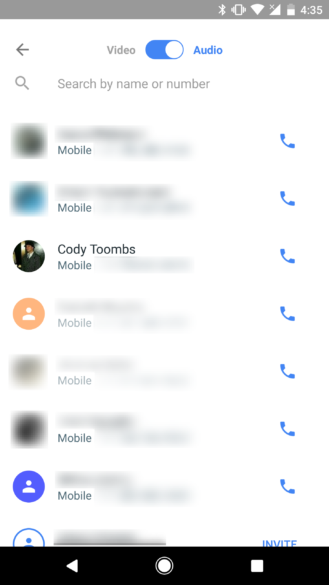 Along with the changes to the slider, the full list of contacts (the one you'll see by tapping on the Contacts button, not the slide-up panel) will show phone or video camera icons next to each contact as you switch modes.